Evolution spatio-temporelle à long-terme des communautés benthiques fixées et sédentaires de platier et de pente externe à l’île de la Réunion (connexion entre les données GCRMN et données antérieures à 1998, début du GCRMN à la Réunion). Participation à la rédaction de chapitres sur d’autres îles du sud-ouest de l’Océan indien. La Réunion (Saint-Gilles la Saline et Saint-Leu principalement), éventuellement autres sites. 59. Naim, O., Cauvin, B., Bigot, L., Chabanet, P., Vigliola, L., Tourrand, C., Cuet, P., Cadet, C., Pothin, K. (Accepted) Monitoring of coral reef communities over 30 years (Saint-Gilles/La Saline reefs, Reunion, SW Indian Ocean). In: Coral reefs of the islands in the western Indian Ocean, Springer series Coral reefs of the World (eds R. Klaus & O. Naim), 35 p.
58. Quod, J.-P., Mulochau, T., Nicet, J.-B., Barrère, A., Dinhut, V., Naim, O. (Accepted). Sessile organisms, molluscs and echinoderms of the Geyser bank (Natural Marine Park of Glorieuses, SW Indian Ocean). In: Coral reefs of the islands in the western Indian Ocean, Springer series Coral reefs of the World (eds R. Klaus & O. Naim), 36 p.
57. Bigot, L., Chabanet, P., Cauvin, B., Durville, P., Mulochau, T., Naim, O., Nicet, J.-B., Tessier, E., Wickel, J., (Accepted). French Western Indian Ocean island states. In: Seas of the Millenium (ed. C. Sheppard), Elsevier Science, 20 p.
56. Tourrand, C., Naim, O., Bigot, L., Cadet, C., Cauvin, B., Semple, S. Montaggioni, L.F., Chabanet, P., Bruggemann, H. 2013. Fringing reefs of Reunion island and eutrophication effects. 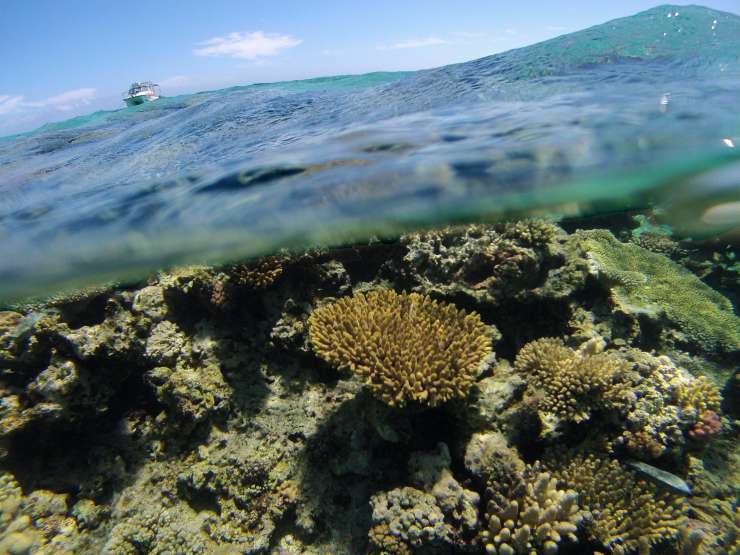 Part I: Long-term monitoring of two shallow coral reef communities. Atoll Research Bulletin, 596, 35 p.
55. Naim, O., Tourrand, C., Ballesteros, E., Semple, S., Bigot, L., Cauvin, B., Montaggioni, L.F., 2013a. Fringing reefs of Reunion island and eutrophication effects. Part II: Long-term monitoring of primary producers. Atoll Research Bulletin, 597, 36 p.
54. Naim, O., Tourrand, Faure, G.F., Bigot, L., Cauvin, B., Semple, S., Montaggioni, L.F., 2013b. Fringing reefs of Reunion island and eutrophication effects. Part III: Long-term monitoring of living corals. Atoll Research Bulletin, 598, 32 p.
30. Naim, O., J.-P., Quod. 1999. The coral reefs of French Indian Ocean Territories (FIOT). Reef Encounter, 26 : 33-36.